It is a federal crime to enter the country illegally or to knowingly help another person to do so. The immigration lawyers at the Law Offices of Brandon Sample represent many clients that have been accused of violating federal immigration laws and have the experience that people rely on in their time of crisis. When it comes to finding a criminal defense advocate who is truly invested in helping you secure your freedom and future, attorney Brandon Sample should be at the top of your list. Having a general understanding of federal immigration crimes and the penalties that are involved is helpful in charting your course of how you will navigate through your federal immigration case. U.S. immigration law is complex in nature and can be difficult for anyone to understand who does not have experience with such laws. Essentially, the unlawful entry of anyone into the U.S. is a crime, but immigration offenses are most commonly uncovered by the government in the course of investigating other allegedly illegal activity. For example, if an undocumented immigrant is apprehended while driving intoxicated, the government is likely to find out right away that the individual does not belong in the country. Thus, the prosecution of federal immigration crimes typically involves the prosecution of other criminal offenses and can result in severe penalties as a result. This is why it is so important to retain the services of an immigration lawyer. It is also a crime under the same law to knowingly enter into a fraudulent marriage for the purpose of evading immigration laws. Immigration crimes involving marriage fraud are the most severely punished ones because they carry a potential sentence of up to five years in federal prison as well as a fine of up to $250,000. Anyone who enters into a criminal enterprise to enable illegal immigration activity is also subject to penalties of up to five years in federal prison as well as fines. An experienced immigration attorney can help to mitigate criminal liability in such circumstances. What are the Potential Penalties for Being Convicted of a Federal Immigration Crime? The penalties for federal immigration crimes increase based on the record of the offender. A first time offender will face up to six months in federal prison. Deportation is also always an option in federal immigration cases. Federal district court judges will typically opt to simply deport a person convicted of entering the country illegally for the first time. There is the potential for a judge to order that a defendant charged with another offense first serve prison time for the underlying offense and then be deported for the immigration crime after the sentence has concluded. If the defendant is convicted of an immigration crime and has a prior record of immigration offenses, he could be convicted of a felony offense and forced to serve up to two years in federal prison. At the end of his prison sentence, the defendant could still be deported to his country of origin. It is more likely that a defendant will have to serve prison time for an immigration crime instead of being immediately deported if he is being charged with a repeat offense. 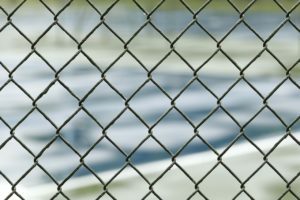 In such an instance, it is important to hire an experienced immigration attorney to try to avoid, or mitigate the length of, a prison sentence. Although the maximum fine that a defendant can face for a first time immigration offense is only a maximum of $250, the fact that an immigration conviction will be on the defendant’s record could seriously hinder his ability to enter the country legally ever again and also limits his employment opportunities. There is no doubt that the federal immigration process is complex, and federal immigration crimes are taken very seriously by the government right now. Even if you arrive in the U.S. as an undocumented immigrant, you are still entitled to rights and protections under U.S. law. This is why it is so vital to retain an experienced immigration attorney to protect your rights as an immigrant. The amount of publicity concerning federal immigration crimes and the trends of prosecution make being charged with a federal immigration offense more troubling than ever before. However, time is of the essence in taking control of your criminal case. The immigration lawyers at the Law Offices of Brandon Sample are available for your call at 802-444-HELP (4357) to talk about how to move forward with your federal immigration case. Contact us today for a free attorney consultation.